“Mary Magdalene, Shaman” aims to motivate people to live meaningful lives through sharing a unique journey to healing. At the age of 62, Sara Taft was diagnosed with an autoimmune disease that endangered her liver. 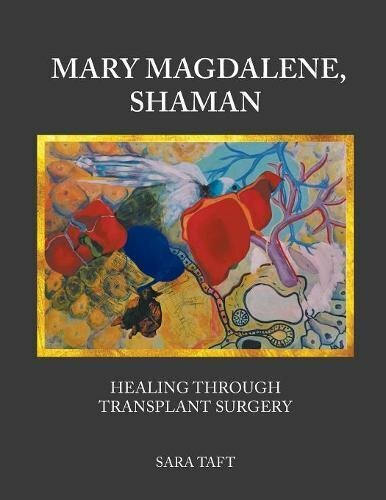 “Mary Magdalene, Shaman” follows her path to her miraculous recovery. On the brink of death, Taft set on a journey that provided physical and spiritual healing. Along with waiting for a new liver from a donor, she sought assistance from shamans in California and Arizona to help guide her through spiritual teachings. This led her to a mystical experience of Mary Magdalene. Although the controversial figure was much criticized by the early Church, she proved to be instrumental as Taft’s spirit guide, inspiration, and moral compass. Taft’s healing expedition had her welcoming information from unorthodox sources, such as dreams, visions, and synchronistic events. These, combined with her knowledge in astrology and psychology, allowed her to see life in a new light as she recovered. She also coped with pain through art, some of which are shown in the book. Through her book, Taft hopes to remind people to look after themselves not only physically, but spiritually as well. She dedicates it to her liver donor, a sixteen-year-old young man who died of a gunshot. “Mary Magdalene, Shaman” aims to motivate people to live meaningful lives through sharing a unique journey to healing. More information on Taft and her work is available on her website, www.sarataftbooks.com. Sara Taft works a transformational counselor, astrologer, and an artist. She earned her degrees in English and social relations from the Immaculate Heart College. She also has a master’s degree in psychology, which she obtained from Antioch University.